52 week high is $408, now $321 after reporting larger loss than expected. Is the love fest finally over with Amazon? It was bad. A big miss. Supposedly their biggest loss in 14 years. Reported a loss of 95 cents a share (-$437 million) with revenue of $20.58 billion. Though revenue is up 20% from $17.09 billion a year ago, it wasn't enough. Estimates were for loss of 76 cents a share and revenue of $20.84 billion. What hurt them the most was the $170 million loss they took on the Amazon Fire phone. Without that write down, they would have reported a loss of 59 cents a share and beat estimates by 17 cents. They still have about $83 million worth of Fire phones on inventory too. Another big loss next quarter? And they're still spending like a drunken sailor. I'd like to see them spin off AWS as a separate company and give up on that Fire stuff. They can dump those Fire phones in the same landfill where they found E.T. Last edited by doopstr; 10-23-2014 at 07:17 PM. People actually brought those Fire phones? I guess Bezos got tired of hearing how Alibaba is better. Posted profit!!! of $92 million vs loss of $126 million a year ago. Amazon Web Services (AWS) up 81% year over year to $1.8 billion. Operating cash flow increased 69% to $8.98 billion and free cash flow increases to $4.37 billion. Last edited by AZuser; 07-23-2015 at 03:45 PM. The company's cloud business posted a profit of $391 million. Revenue grew 81 percent compared to last year and AWS is now a $6 billion-a-year business. For something that basically didn't exist a decade ago, that's astounding. I have to admit that I F*****G love AWS. I've been using it for almost 2 years. It's awesome. Last edited by doopstr; 07-23-2015 at 08:53 PM. Amazon previously allowed anyone with an Amazon Prime subscription to share shipping benefits and a few others, including Prime Instant Video access, with up to four other “household” members. But with a change to its policies at the end of July, Amazon now only allows a Prime member to share their Prime benefits with one other adult. Amazon CEO Jeff Bezos just sold off more than 1 million shares of the company he founded. The stock sale, which was reported in a Securities and Exchange Commission filing, netted Bezos $534 million. He still holds nearly 83 million shares worth about $44.5 billion. CEOs frequently sell stock and buy stock on a regular schedule, but this sale, first reported by the Seattle Times, is far more than Bezos typically sells. Last year, he sold $351 million worth of Amazon stock and the previous year, just after he bought the Washington Post, he sold $250 million worth of stock. There's really only one reason to do that when you're already a billionaire: He wants the money for something in particular. There are plenty of things for Bezos to spend his money on. 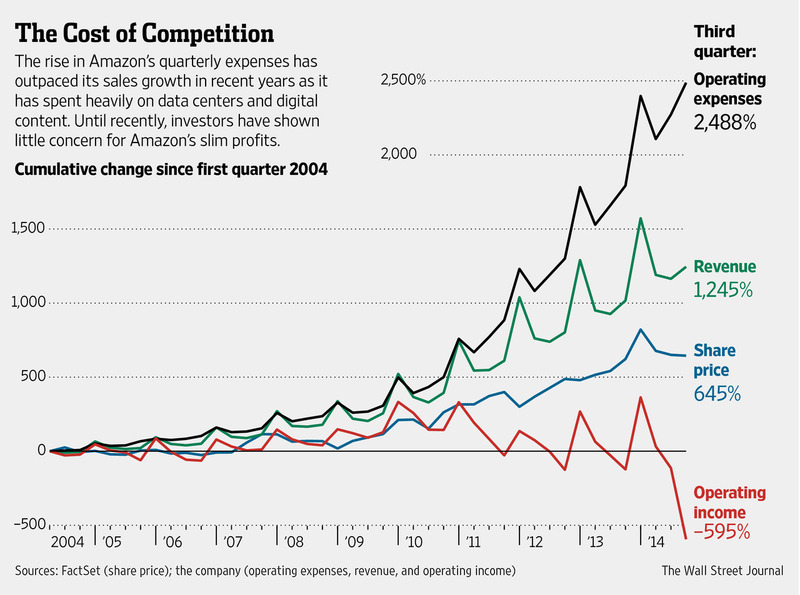 Bezos has an investing group, Bezos Expeditions, which has invested in a variety of startups and businesses. The group is also an investor in the giant 10,000-year clock in the Texas desert. Bezos is one of the largest landowners in Texas and a giant Texas ranch is currently for sale. It's unlikely Bezos is getting into the cattle industry, though. His Texas land is used for testing and launching rockets. In addition to Amazon, Bezos also founded Blue Origin, a space and rocket company based in Kent. That company has had some success lately and is gearing up to compete with the big guys when it comes to outfitting U.S. military systems. If Blue Origin is serious about its space tourism ambitions – and it seems clear the company is– then it will take a lot of cash to get those rockets off the ground. Bezos has a lot of competition when it comes to billionaires going to space, and he's pretty ruthless when it comes to competition in the past. Last edited by Mizouse; 10-22-2015 at 03:24 PM. Jeff Bezos has edged past Carlos Slim to become the world’s fourth-richest person, buoyed by a 113 percent rally this year in Amazon.com Inc. The 51-year-old founder of the world’s largest online retailer passed the Mexican telecommunications tycoon Tuesday after Amazon rose $4.19 by the close of trading in New York. Bezos commands a fortune of $58.2 billion, according to the Bloomberg Billionaires Index. Slim, who was the world’s richest person as recently as May 2013, is now ranked fifth with $57.2 billion. He’s lost $15.4 billion in 2015, more than any other billionaire on the index. Bezos has increased his fortune 103.5 percent in 2015 as investors have cheered profits at Amazon and growth in its cloud storage business. His $29.6 billion year-to-date gain is the biggest of any billionaire on the Bloomberg index, a daily ranking of the world’s 400 richest people. The second-largest gain belongs to Spain’s Amancio Ortega, the founder of Inditex SA, the world’s largest clothing retailer, who’s risen $12.7 billion, a 21 percent gain. U.S. investor Warren Buffett is the world’s third-richest person with a net worth of $63.2 billion. Ortega ranks second with $73.7 billion. Microsoft Corp. founder Bill Gates remains the world’s richest, with a net worth of $85 billion, according to the index. Bezos’s climb also reflects the strength of U.S. mega-cap technology stocks, which have boosted the fortunes of other leading technology billionaires. Facebook Inc. founder Mark Zuckerberg is the world’s eighth-richest person with $47.1 billion and has increased his wealth by $12.6 billion this year. Alphabet co-founder Larry Page is the 10th-richest on the planet with $39 billion, and has added $9.3 billion in 2015. Oracle Corp. founder Larry Ellison is ninth with a $42.6 billion fortune. He’s slipped $6.2 billion this year. Over $100 billion in sales for 2015. Damn. Prime membership up 51% for 2015, 47% of which came from U.S.
AWS did $2.41 billion in sales. $7.9 billion in sales for all of 2015. 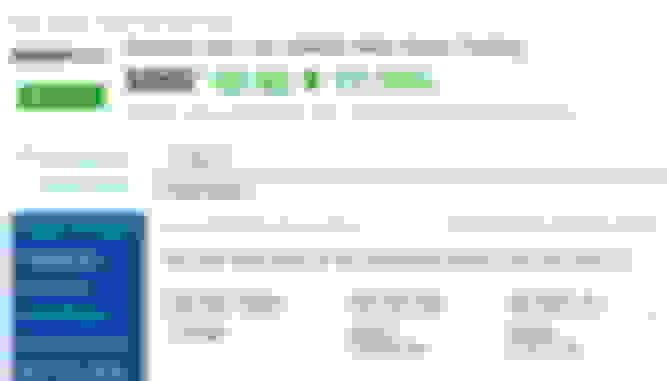 Margins for AWS look really good. For Q4 2015, earned $1.7 billion from AWS. For all of 2015, earned $6 billion from AWS. Strong guidance though: expects to do between $26.5 billion and $29 billion in sales vs analyst estimates of $27.7 billion. Last edited by AZuser; 01-28-2016 at 03:27 PM. If my math is correct, Amazon had a 76% margin for all 2015 AWS services. On the other hand I'm starting to get annoyed that a lot of stuff that I order now takes 1-2 weeks to arrive with free shipping. It used to be 4-5 days max. EPS of $1.07 vs $0.58 estimate. Had a loss of $0.12 a year ago. Sales up 28% to $29.1 billion vs $27.99 billion estimate. Revenue was $22.72 billion a year ago. Last edited by AZuser; 04-28-2016 at 03:19 PM. Bezos owns about 82.9 million shares. Stock up $72.54 in after hours. I wish they would spin off the AWS business. I feel like it would be a real rocket unshackled of the retail business. So I happened to be looking at FANG today. If MSFT was able to grow their Azure cloud sales by 102% last quarter, I wonder how Amazon did with AWS. 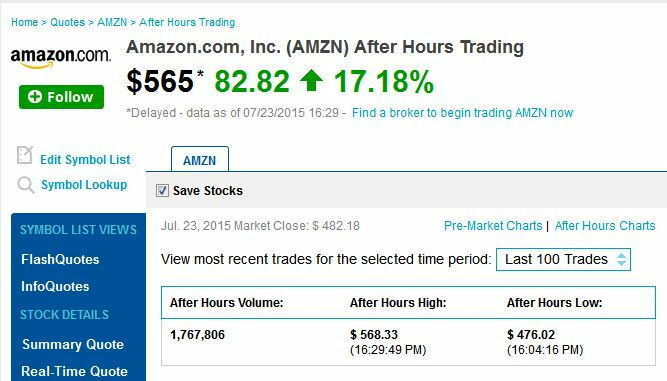 Might have to take a gamble and pick up some AMZN calls for earnings next week. Microsoft Corp. remains a distant second to Amazon.com Inc. in cloud computing, but the software giant’s latest quarterly results suggest it is effectively managing the transition from selling software licenses to selling on-demand computing services. In its fiscal fourth quarter, sales of the Redmond, Wash., company’s Azure cloud computing service more than doubled, offsetting a decline in the segment that includes its flagship Windows operating system and its struggling mobile-phone business. The strength of Microsoft’s cloud business surprised investors. The company beat expectations for both sales and profit, which spurred a 4% rise in Microsoft’s shares in after-hours trading. Microsoft has proved especially adept at selling its cloud services to existing customers, taking advantage of longstanding relationships with companies that have run its software in their own data centers. Microsoft’s transition to the cloud comes with an important cost: eroded margins. When the company relied on software licenses sold to companies every few years, it registered fat profits. But margins on cloud services, which are sold by subscription, are slimmer. For the quarter, gross margins slid 14% to $12.64 billion. Microsoft Chief Financial Officer Amy Hood expected margins to decline slightly in the next year as well, she said in an interview. Chief Executive Satya Nadella in his two years on the job has orchestrated the shift. In the process, he has pulled Microsoft back from its mobile-phone investments championed by his predecessor Steve Ballmer. Microsoft’s decision to roll back the phone business—along with a continuing decline in sales of personal computers that run its Windows operating system—led the company to post its first decline in annual revenue since 2009. Sales fell 8.8% to $85.32 billion in fiscal 2016. For the year, revenue from the reporting segment that includes Windows and mobile phones fell 6.3% to $40.46 billion. For the fourth quarter, sales in that segment fell to $8.9 billion, a decline of 3.7% year over year (2% in constant currency), even as revenue from sales of Windows to computer makers rose 11%. The biggest gains came in the segment that includes the Azure cloud computing services. There, revenue amounted to $6.71 billion, a rise of 6.6%, or 9.6% in constant currency. Notably, revenue for Azure alone grew 102% (108% in constant currency) year over year. The other big gain came in the segment that includes Microsoft’s Office productivity tools as well as its Dynamics business programs. That segment posted sales of $6.97 billion, a year-over-year gain of 4.6%, or 7.6% in constant currency. Revenue from commercial sales of the cloud-based Office 365 jumped 54%. Ms. Hood said that with some investments in cloud infrastructure in the rear-view mirror, she expected Microsoft to begin reaping economies of scale. Microsoft posted $3.12 billion in fourth-quarter net income, or 39 cents a share, compared with a loss of $3.2 billion, or 40 cents a share, a year ago. The year-earlier results included $8.4 billion in charges related to the company’s mobile-phone operation. Excluding the impact of revenue deferrals and restructuring charges, adjusted earnings rose to 69 cents from 62 cents a year earlier. Revenue slid 7.1% to $20.61 billion and was $22.64 billion on an adjusted basis. Analysts surveyed by Thomson Reuters had expected Microsoft to report adjusted earnings per share of 58 cents and sales of $22.1 billion. I'm happy with the MSFT I picked up after their last report. Azure and AWS are powerhouses. Last edited by Mizouse; 07-28-2016 at 11:20 AM.